Stella's Musings: River Projects: Why That Double Standard? Last week – 16th to be exact – the Cabinet Committee on Economic Affairs in New Delhi decided that it would pay appropriate compensation to National Thermal Power Corporation (NTPC) for the abandoned Loharinag Pala hydel power project in Uttarakhand state. The 600 MW hydelpower project was coming up in Uttarkashi district of Uttarakhand state, on the river Bhagirathi (a tributary of Ganga). But, in Nov 2010, the National Ganga River BasinAuthority (NGRBA) declared that all under-construction hydro electric projects in the upper riches of the Bhagirathi would be scrapped, because, it was the only way to maintain the continuous flow of Bhagirathi river. Since, Loharinag Pala fell in the same zone this had to go as well. But NTPC is a rich company and it has made substantial amount of investment already which it just can’t lose. Enters the government, deciding quickly to pay back the Navratna/ nine stars (the nine biggest public sector companies) co its money. How wonderful! However, I can’t help asking a few questions. 1. The entire project site of Loharinag Pala falls under the eco-sensitive zone. Yet NTPC, the country's largest public sector, had no problems in obtaining “all statutory clearances” to start the project! How did those clearances come by? 2. 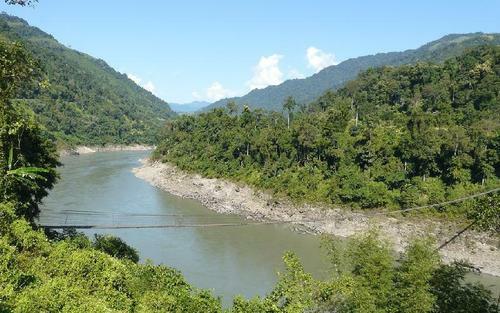 In the state of Arunachal Pradesh thousands of people are crying for and the government of Assam is begging the government to stop the construction of the 2000 MW mega(and a sure killer) hydel power project over river Subansiri which falls in an eco-sensitive, high seismic (5) zone, why is the government turning a deaf ear? Or, in Manipur, why is the government not ready to hear a word against the Tipaimukh dam although it is threatening the ecology and human settlement only within India, but also in Bangladesh? 3. The government is so quick in paying back NTPC. In fact, the Ministry of Power, which will bear the expenses for compensation to NTPC said that the company should not suffer any loss because (discontinuation) of this project. But even after decades, hundreds of tribal families in MP, Chhattisgarh and in several other states, who lost their land to dams like Narmada, Sheonath and others, are running from pillar to post for the promised compensation. Now why doesn’t the government think the same way about people’s loss of land, money and livelihood? Is double standard now a well thought out government policy?